As part of our ongoing Global Student Support Program, Discovery Student Adventures is thrilled to announce a series of service-focused trips exclusively for teachers. 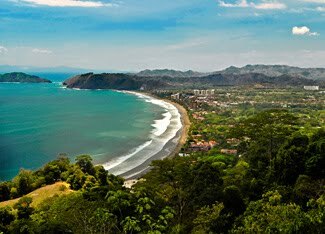 It begins in July 2012 with Impact Costa Rica, a 7-day journey loaded with volunteer projects designed to make a lasting impact on the region. Educators selected for Impact Costa Rica will help make a difference by participating in humanitarian and environmental projects ranging from rehabilitating endangered sea turtles to donating school supplies to renovating classrooms. “Efforts like this exemplify our dedication to making a lasting difference in education, whether it’s through offering extraordinary travel opportunities, or helping students around the world,” says Discovery Student Adventures vice president Susannah Stoltz. We are currently accepting applications from educators interested in being considered for this all-expense-paid inaugural service trip. Qualifying teachers will be chosen from all complete applications submitted by February 15. Apply here. I just saw this and am bummed I missed the application deadline. How do we find out when applications are being taken for the next service based trips?